Use the book as an emergent reader. 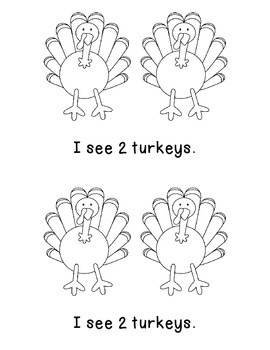 After they are finished reading, they can color the turkeys. You can go on a number hunt on each page. This can also be used during a small group intervention time. The students cut out the sentence strips and go through each page and figure out which sentence belongs on each page. This book can be used as an independent math center. 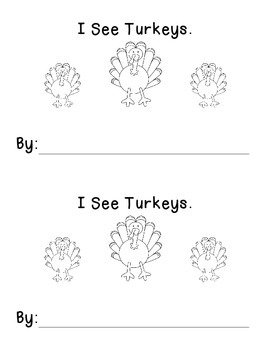 This can also be used during a small group intervention time. 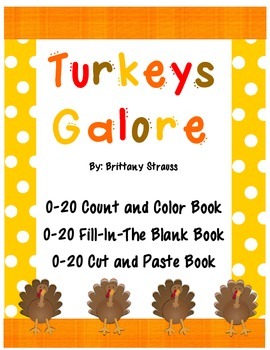 The students go through each page and count the number of turkeys on each page; then write the number in the blank. 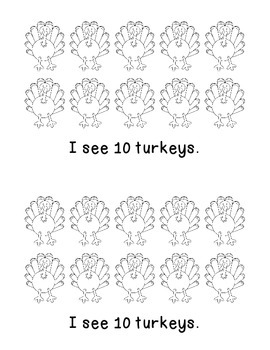 This can be used at an independent math center or during a small group intervention time.